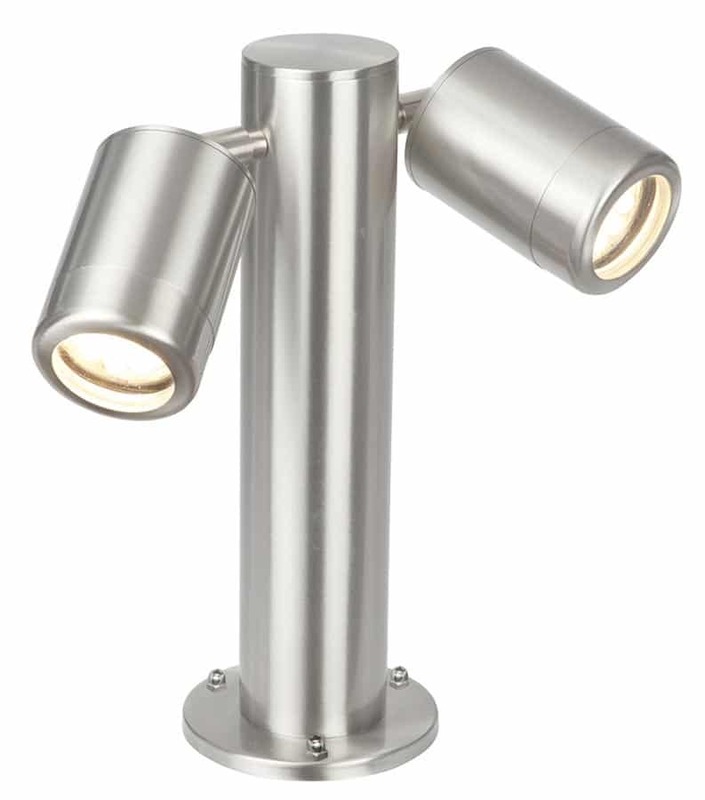 The Atlantis 316 stainless steel 28 cm twin spot lamp post light, with fully adjustable heads and rated IP65. A modern design and appealing choice for any outdoor space. Constructed from brushed stainless steel, it offers a stunning designer look at an affordable price. Matching items are available, please scroll down to see the range. Short gate post light, with circular base and cylinder stem and a directional spot light mounted on either side. A stylish outdoor lighting choice for homes near the sea covered by a comprehensive manufacturers warranty and capable of accepting an LED light bulb to help reduce running costs. Manufactured from marine grade stainless steel, this fitting is suitable for outdoor environments, including coastal areas. Other products in the IP65 rated Atlantis lighting range can be viewed below.